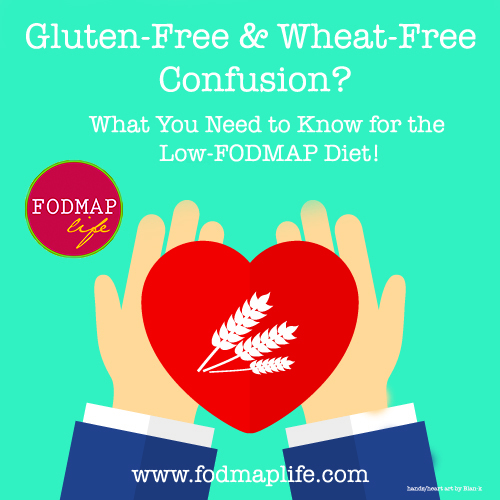 If you have Celiac Disease, Gluten Intolerance, Non-Celiac Gluten Sensitivity, Hashimoto’s Disease or Type 1 Diabetes and cannot have any gluten and are following the low-FODMAP diet, this post is for you. For everyone else not needing to watch gluten intake – fructans and other FODMAPs, but NOT gluten are restricted on the Low FODMAP diet. You should aim to buy gluten-free grains (wheat-free). Researchers at Stanford University Medical Center say you “do not need to follow a 100% gluten-free diet as the focus is on FODMAPs, not gluten.” You can buy gluten-free grains made with low-FODMAPs: potato, quinoa, rice or corn and avoid gluten-free grains made with high FODMAPs. Also, gluten-free products are wheat-free and suitable for fructose malabsorption. Please still pay attention to possible fructose ingredients such as onion, honey, inulin and fruit. 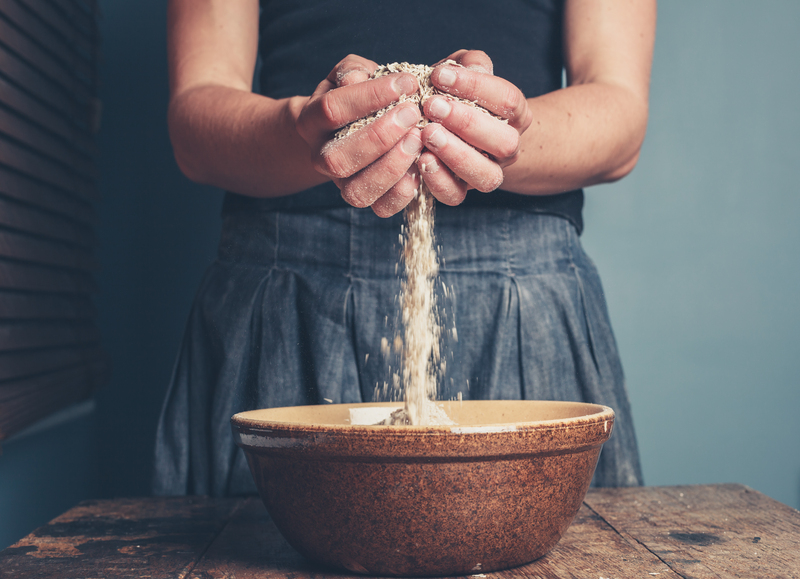 So, back to the crowd of Celiac Disease, Gluten Intolerance, Non-Celiac Gluten Sensitivity, Hashimoto’s Disease (me) and Type 1 Diabetes: Read this list to make sure you know which foods contain gluten. 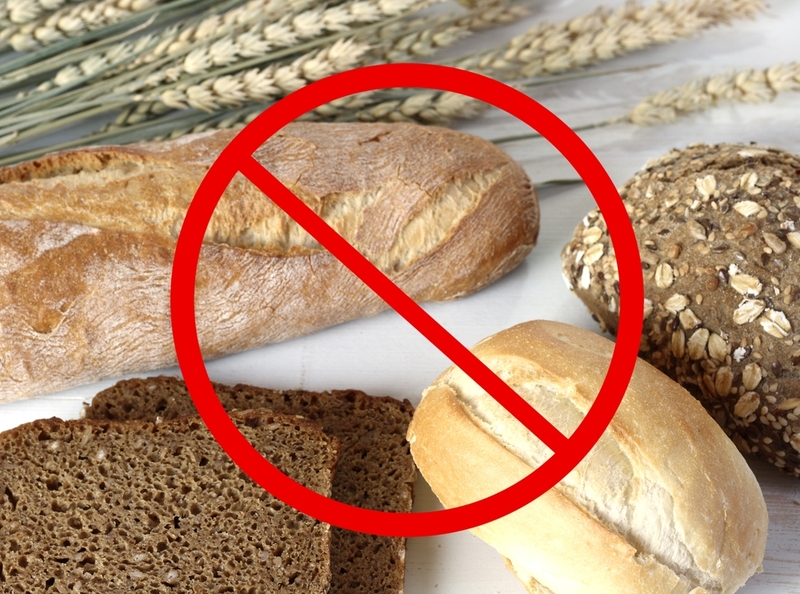 As a refresher – what is gluten? It is a protein found in wheat, rye, and barley. 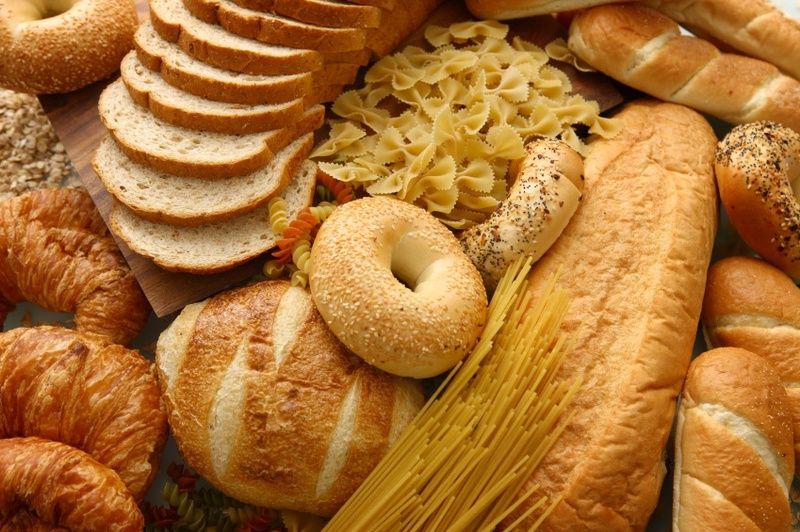 People with Celiac Disease, Gluten Intolerance, Non-Celiac Gluten Sensitivity and some with Hashimoto’s Disease or Type 1 Diabetes should speak with their doctor about avoiding all foods that are made with these grains. Muffins, pastries – there are some gluten-free versions but make sure you know all of the ingredients! Beer – opt for wine or clear alcohols instead. Yes there are gluten-free beers, but beer should be avoided in general for anyone with digestive or inflammatory conditions. Candy – some more brands have been popping up lately, offering gluten-free candy. Read the labels as always! Licorice – choose brands that do not contain wheat flour! Matzo has gluten, but there is hope for gluten-free brands like this one or this one. Meat – many lunch meats, hot dogs and sausages contain wheat gluten. As always when buying meat, buy organic! I happen to like the Applegate Farms brand. Modified Food Starch – ANYTHING modified should always be an automatic RED FLAG for you. Oats – buy gluten-free oats as most commercially grown oats can become contaminated during growing, harvesting or processing. Potato Chips (flavored) – some processed flavorings for potato chips contain wheat, barley or rye. Stay on track with a clean diet and avoid potato chips. Pickles – be wary of any pickles with malt vinegar or corn-based vinegar. Salad Dressing – for those following the Low Fodmap Diet, it’s best to make your own dressing with olive oil, low fodmap herbs and vinegar. If you find a dressing on the shelves that is not high in FODMAPs, make sure the dressing does not contain a thickening agent like modified food starch. Soy sauce – many contain wheat. If you’re going out for some sushi, keep a bottle of gluten-free soy sauce in your purse/bag! Here’s to your health FODMAPers! Posted on March 4, 2014 May 11, 2015 Author ColleenCategories Gluten, UncategorizedTags fodmap foods containing gluten, fodmap gluten-free foods, gluten free meat, gluten-free matzo, low fodmap diet gluten-free foods, low fodmap gluten food, which foods contain gluten2 Comments on Which Foods Contain Gluten?